I am a dual-masters degree student studying Coastal Environmental Management and Cultural Anthropology. My research seeks to use ethnographic methods and critical social theory to better understand the social drivers of environmental management outcomes. 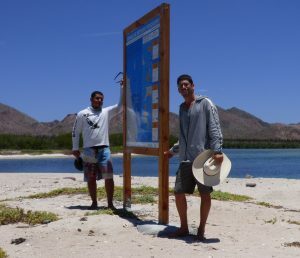 I have conducted ethnographic research in San Evaristo, Baja California Sur, to understand how gendered practices and cultural values shape community responses to management and conservation strategies including MPAs and Fishing Cooperatives. I am interested in using these methods and insights in collaboration with fishing communities seeking to influence policy and management.